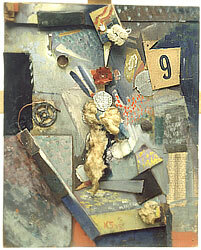 The Foundation owns the complete artistic estate of Kurt and Ernst Schwitters. 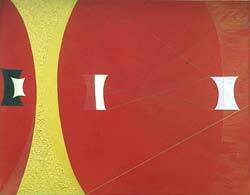 The collection is characterised by the eventful biographies of both artists. Most early works by Kurt Schwitters were destroyed when the Hanover house was burned down in 1943. However he did successfully remove important pre-1936 art and literary works to his exile in Lysaker, near Oslo. Pictures and texts created in Norway between 1937 and 1940 also survived the Second World War at this location. Ernst Schwitters also later brought to Norway some of his father’s works dating from the period of exile in England (1940-1948). Although Ernst Schwitters sold many of his father’s works over the decades, he systematically retained a representative and comprehensive collection which now forms the core of the Foundation’s holdings. The photographic, artistic and typographic works of Ernst Schwitters have been preserved virtually intact; only a few black and white negatives from his early years in Germany and his time in Norway were lost during the Second World War.